Archie and his friends are set to go up against the Predator in “Riverdale’s” latest twist. “Archie Vs. Predator 2” is hitting magazine stands in July, and it is going to feature one of the most exciting crossovers in the history of the two franchises. The first “Archie Vs. Predator” was released in 2015 and followed Betty, Veronica and company as they came under attack by a teenage Predator while spending their vacation in Costa Rica. The alien hunter preyed on their friends, including Archie. In an unexpected twist, however, the girls made use of an experimental machine to make an Archie clone out of the alien. 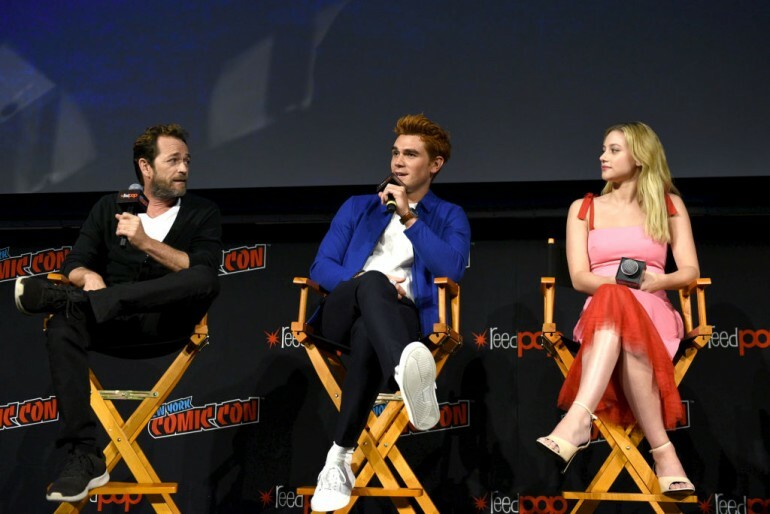 Although details about the upcoming sequel are still few and far between, there are speculations that it will pick up where the first comic series left off, with Riverdale now part of a huge revenge scheme. However, the sequel will reportedly have a sidesplitting meta-commentary on franchise reboots. Both “Archie” and “The Predator” have been rebooted in film, comics and television, so fans can expect this meta-commentary to be filled with insights about the two narratives. Alex De Campi, who penned the first installment, will return for the sequel with artist Robert Hack. In an interview about the upcoming sequel, De Campi talked about how he’s going to handle both franchises in this massive crossover. “I think as anyone who read the first ‘Archie vs. Predator’ knows, I’m a huge fan of both franchises, and it’s massively important to me that both ‘Archie’ and ‘Predator’ fans feel like I’m handling their babies with love and respect and knowledge,” he said. “My goal is always to deliver a great ‘Archie’ comic — with the humor, teen drama and romance we love from ‘Riverdale’s’ finest — as well as a great ‘Predator’ comic, with the scares and violence you want form the galaxy’s most dangerous hunters,” he added. “Archie Vs. Predator 2” will center on Betty and Veronica’s attempt to save their friends from the galaxy’s vilest hunters. It remains to be seen how the Predator’s involvement in the narrative will play out in the sequel, but it is seen as an exciting twist. The success of the “Riverdale” TV series is proof that fans will still love to watch the characters in darker situations than the all-too-safe universe featured in the comics.